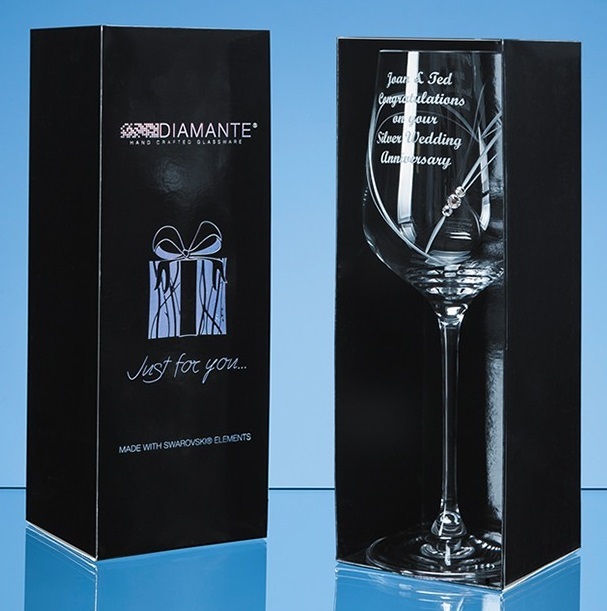 Engraved Wine Glass in a designer presentation box. Slender, sophisticated and understated. This elegant, contemporary ‘Just for you’ wine glass is hand cut with a stylised heart shaped design and sprinkled with three sparkling Swarovski ‘Diamante’ crystals.